It has never been a better time to be bottom heavy. You command an audience and demand attention with your voluptuous behind. 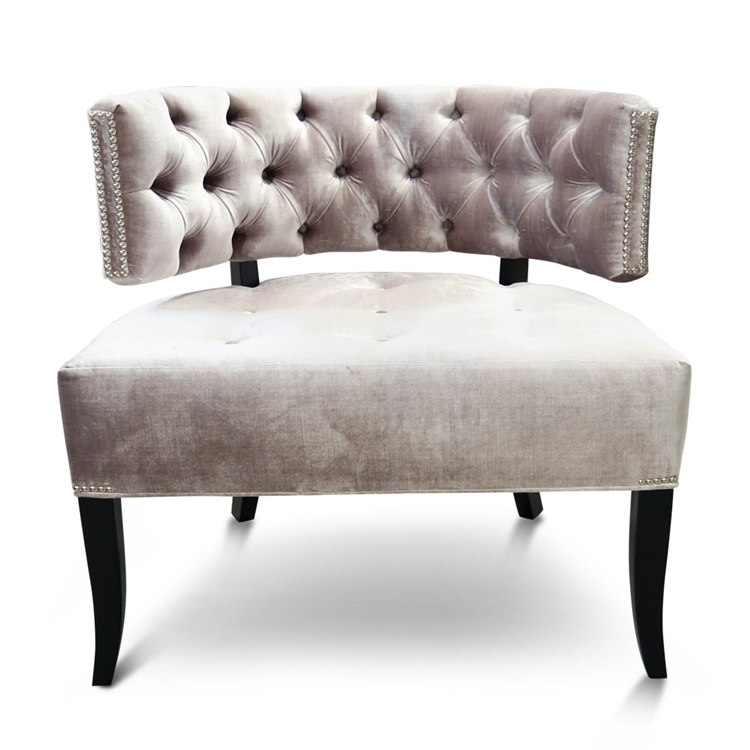 The buttoned detailing on this Babette beckons your buns closer while the curved back keeps them firmly planted. Customize any Haute House Home piece to your liking. This piece is priced for delivery with a Grade C Haute House Home fabric, not as shown with Customer’s Own Materials. Email info@hautehousehome.com or call 323.256.2800 for custom options and more information.